1.5 seconds was all Auburn needed to advance to their very first NCAA Championship game in program history. It was right there for the taking. Then, Virginia’s Kyle Guy took a three from the corner and was promptly fouled by Samir Doughty. Confusion followed as many in the arena thought the game was over and Auburn had advanced. 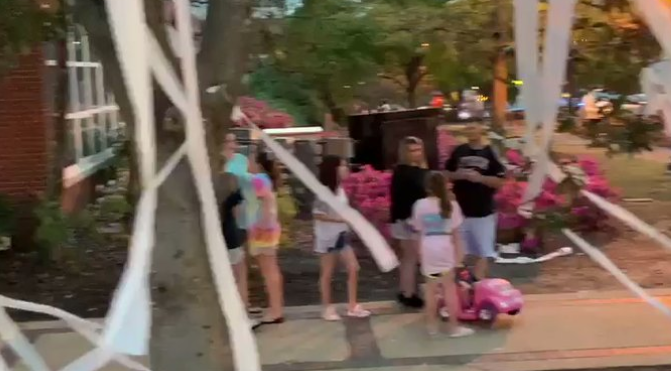 That was certainly the case back home as hundreds of Auburn fans took to the streets to celebrate, throw toilet paper on trees, and chant “SEC, SEC,” only to realize a foul was called and they would go on to lose the game.